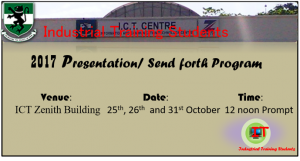 Wednesday 25th October, 2017;- presentation by the students. Thursday 26th October, 2017;- presentation by the students. 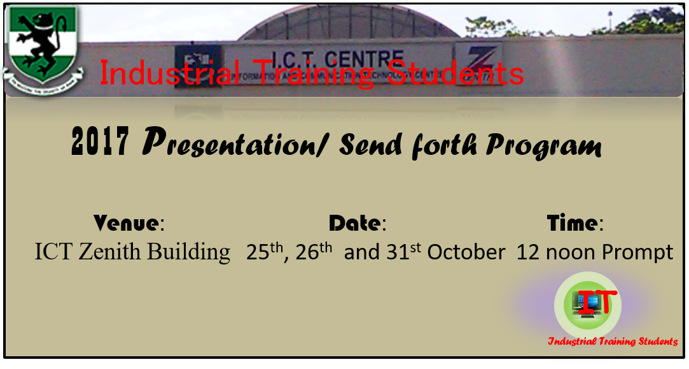 Tuesday 31st October, 2017;- presentation, get together and issuing of certificates to students.